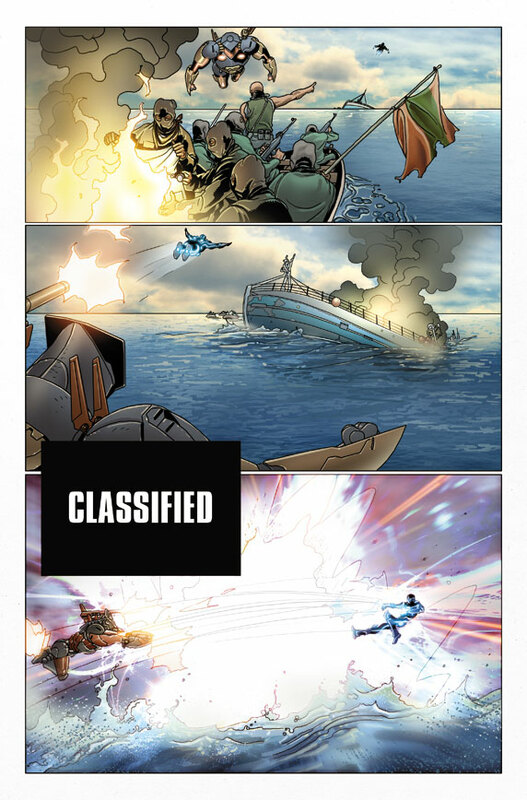 Text-free, and with some panels classified, Marvel is teasing a new Iron Man under a new iron mask. It wouldn’t be the first time someone other than Tony Stark has been Iron Man of course, with his best mate James Rhodes taking a turn before he became War Machine, and even Pepper Potts became the armoured Rescue. 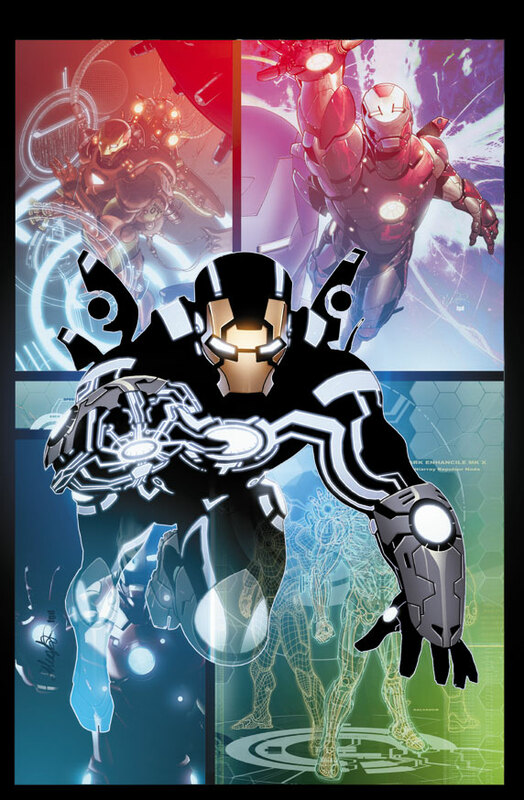 This is all good news for Shellhead fans, as Iron Man 3 gets closer to a reality, with the usual cast, plus Ben Kingsley and guy Pearce on board, and the fact that it seems to be based on the classic Extremis storyline from Warren Ellis and Adi Granov is all great news. 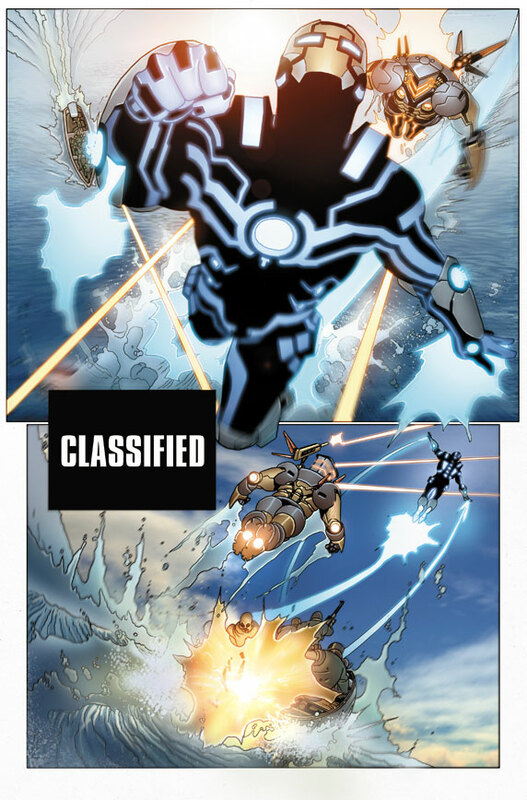 Your First Look At INVINCIBLE IRON MAN #518 – WHO IS THE NEW IRON MAN?! 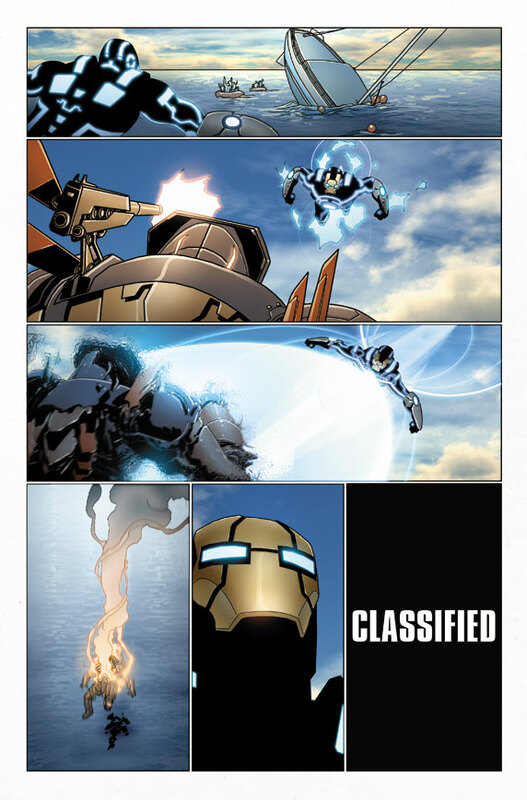 Marvel is pleased to present your first look at Invincible Iron Man #518, featuring the all-new Iron Man! Courtesy of the Eisner Award-Winning creative team of Matt Fraction & Salvador Larroca, tensions mount as the Spymaster’s rampage within Stark Resilient comes to its bloody end. The Mandarin is throwing everything he’s got at Tony Stark including amped up super villains! With a big target painted on his back, can Tony Stark make it out alive? Can the new Iron Man save him in time? Find out in Invincible Iron Man #518, hitting comic shops, the Marvel Comics app, and Marvel Digital Comic Shop this June!